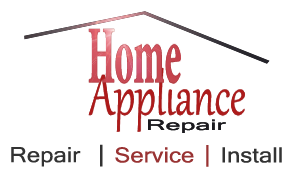 Need home oven range repair? Whether your oven doesn’t heat up or its door seal is damaged, we help quickly. Our experts can fix any problem related to home ranges. Is there something wrong with the stove? Do you need to install a new range? At Appliance Repair Milton, we do the necessary repair work but also new installations so that our clients will use safe and functional ranges. If these appliances are not fixed quickly and fitted properly, they might cause serious problems and definitely inconveniences. So leave any range repair Milton work to our specialists. Call us as soon as the gas range starts malfunctioning or there is a gas odor in the indoor air. Damaged parts and incorrect installations might lead to gas leaks. Let us take care of the range problem to fix the leak. We can replace any damaged range part and rest assured that we have spares for both stoves and ovens. So you can trust that the gas range will be fixed right whether the problem is with the stove or oven. Electric ranges might not question your safety but they still need proper repairs. Bad and incorrect connections will keep the appliance from functioning well. And such problems will cause you frustration but also energy loss. At our company in Milton, Ontario, we fix electric ranges quickly. Our pros replace worn and burned out range parts when they come for services. But you can also call us to schedule the replacement of a broken door gasket or switch. Do you know how much energy you can save by replacing the door seal? Call us to take care of such problems. Trust the installation of your new range to our pros, especially if this is a gas appliance. This way, you can be sure of your safety and will avoid a gas leak in the future. 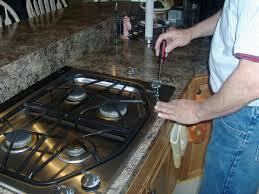 Contact our company any time you need oven and stove, electric and gas range repair in Milton.